Trevor Grier is a Project Manager at SERVPRO of Bay County. He has over 8 years of experience and has the following certifications from the Institute of Inspection Cleaning and Restoration Certification (IICRC): Water Damage Restoration, Applied Structural Drying, Fire &Smoke Restoration and Applied Microbial Remediation. In addition Trevor is certified in Lead: Renovation, repair & painting. Trevor is not only an intricate part of our team, but has grown up in the business. He has established himself as a expert in the field and continues to build a strong knowledge base of the industry. Trevor Bus is our Mitigation Manager at SERVPRO of Bay County. He has over 7 years of experience and has the following certifications from the Institute of Inspection Cleaning and Restoration Certification (IICRC): Water Damage Restoration. In addition Trevor is certified in Lead: Renovation, repair & painting. Trevor is a leader in every sense of the word. He leads by example, working hard and caring for each individual home or business as if it were his own. Trevor goes beyond expectations and is one of our "Green Dream Team" Super Stars! Anthony Zollo is a project manager at SERVPRO of Bay County. He has 6 years experience in production and as a crew chief He has been a pert of this team for 8 years. He has the following certifications from the Institute of Inspection Cleaning and Restoration Certification (IICRC): Water Restoration and Applied Microbial Restoration. Anthony's attention to detail and empathy for each individual customer sets him apart. Anthony is committed to treating each disaster as if it were his family being affected. We appreciate him and customers love him. Away from work Anthony enjoys spending quality time with his two children, and his dog Xena. David Seaberg is a Crew Chief at SERVPRO of Bay County. David has been a team member for 4 years starting in production. His hard work never say no attitude and dedication to the team resulted in his promotion to Crew Chief. David has the following certifications from the Institute of Inspection Cleaning and Restoration Certification (IICRC): Water Damage Restoration. David is a very hard worker and strives to learn and do more each day! David is known for being the first to start work and the last to leave. David is a vital member of our traveling storm team. He is always on stand-by and ready to go at a moments notice. Theo Bell is a member of our production team at SERVPRO of Bay County. Theo has been with us since 2015 and has been a valuable asset to the production team with his expertise and team spirit. Theo is a vital member of our traveling storm team. He is always on stand by and ready to go on a moments notice. It's team members like Theo that allow us to go and help our neighbors in their time of need. Theo has the following certification from the Institute of Inspection Cleaning and Restoration Certification (IICRC): Water Removal Technician. Diane Hairrell is the Crew Chief of cleaning. She controls our contents cleaning and inventory, and specializes in cleaning and detailing and has the following certifications from the Institute of Inspection Cleaning and Restoration Certification (IICRC): Water Damage Restoration. Diane is known for her exceptional organizational skills and her attention to detail. Diane is hardworking and is a great leader for her team. Keith Gonsey is the Reconstruction Manager at SERVPRO Bay County. He has over 30 years of extensive construction experience and has been with SERVPRO of Bay County for over 5 years. Keith is a great Reconstruction manager because his attention to detail is unsurpassed. Kevin Dryer is a member of our production team. Kevin has been with SERVPRO of Bay County for over 4 years. Kevin's strength is his ablity to multi-task and brings a board scope of experience. His first two years on the team were in our construction services, we are happy to have someone versatile enough to change departments when we need him most. Michael Stevens is a member of our Reconstruction team at SERVPRO of Bay County. Michael's ability to "get the job done" is just one of the attributes that make him a valuable assest to our SERVPRO team. He has many years of reconstruction experience and is know for thinking things through for the best outcome. Eric Lange is a member of the Reconstruction Team at SERVPRO of Bay County. Eric is know as the helping hand in the field. His ability to be diverse in his role makes him one of our "Green Dream Team" stars! Talena Grawburg is a Sales and Marketing Representative at SERVPRO of Bay County. Talena joined the team January 2014 and has the following certification from the Institute of Inspection Cleaning and Restoration Certification (IICRC): Water Removal Technician. She is known for her concern for her customers and professionalism along with a determined spirit that is contagious to all around her. She is an outstanding member of our team that goes beyond dedication. She is a true inspiration to our team!! Crystal Arnold is the Office Manager at SERVPRO of Bay County. Crystal has been leading our team for 6 years. Crystal has the following certifications from the Institute of Inspection Cleaning and Restoration Certification (IICRC): Water Removal Technician. Crystal is the heartbeat of the SERVPRO office and touches every aspect of a job to ensure that our customers are treated with respect, dignity and professionalism. Ashley Wright is an Administrative Assistant at SERVPRO of Bay County. Ashley has been a part of our team for 5 years. Before joining our team Ashley had 10 years experience in customer service and administrative services. Ashley's compassion and sweet spirit make her a great asset to our customers. Brett is a Crew Chief at SERVPRO Bay County. He has several years experience and has the following certifications from the Institute of Inspection Cleaning and Restoration Certification (IICRC): Water Removal Technician,Carpet Cleaning Technician,Carpet Repair and Reinstallation, Applied Strustrual Drying, Applied Microbial Remediation,Health and Safety making him a Master Water Restorer. Brett's experience and professionalism are just a few of the talents he brings to SERVPRO. Crystal is a treasured asset to the team at SERVPRO Bay County. Crystal joined the team in 2016 and brought 6 years experience with her. 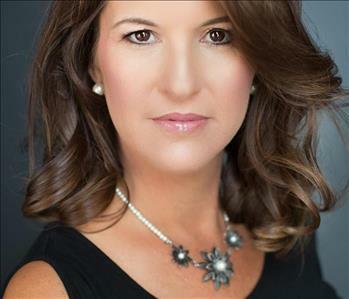 SERVPRO of Bay County has a more diverse marketing platform with Crystal's knowledge and drive to grow the franchise through long lasting relationships with her clients. Brandon is a Crew Chief. His contagious smile and friendly demeanor along with his knowledge and professionalism have made Brandon a valuable asset to our SERVPRO team! Tyler Hall joined our team as the Warehouse Manager in 2016. He is a huge asset to our company. Tyler brings with him an extensive background in warehouse management and is retired from the United States Marine Corp. Tyler has been married for over 16 years and is the father of three. Tyler's favorite saying is "adapt and overcome". Michael’s radiant smile can fill a room with a positive energy that transforms everyone he encounters. Michael has over 16 years’ experience in private, commercial and government construction industries. A hard working and committed employee that puts the L in loyal. Michael gained his experience by moving through the ranks which has lead him to his position as Crew Chief. Michael leads by example and is a great role model for his teammates. Travis Cutting comes to SERVPRO with a proud history of serving his county. Travis served in the United States Army for 8 years with one of those being a tour overseas. His pride for his country comes across in his work each day. He has over 8 years’ experience in Water and Fire Restoration and the experience from his military service adds an attitude of professionalism and attention to detail to every aspect of his work with SERVPRO. Although his military career has moved Travis around he was born and raised in Panama City and is happy to be back home. Steve Cyr is a United States Airforce veteran with an extensive background in Law Enforcement. He is a Construction Manager at SERVPRO of Bay County. His experience is one of the many attributes that makes him invaluable in our construction department. His attention to detail while in our customers’ homes and the importance of security is imperative. Steve also possess over 20 years’ experience in the construction field with an emphasis on Electrical. Steve does enjoy his off time in the great outdoors. He loves fishing, hunting and playing golf. Andy Preston is head of our Accounts Receivable. 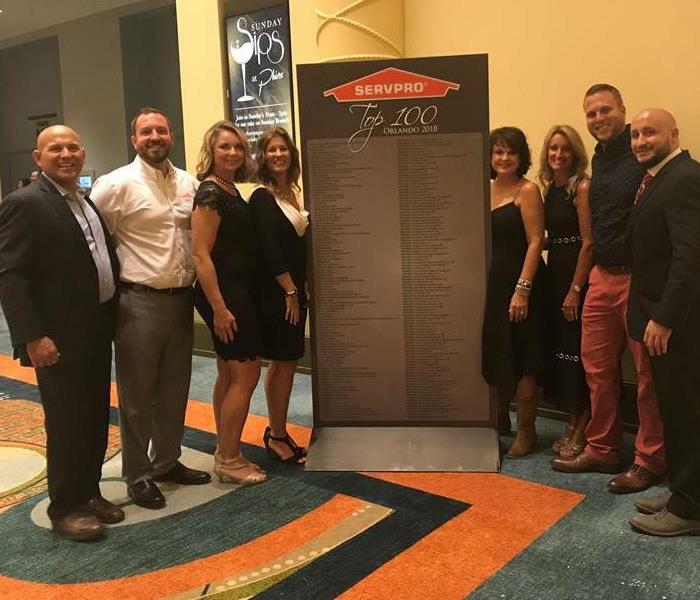 Andy joined the SERVPRO of Bay County team immediately following Hurricane Michael in 2018. Andy has been a crucial part of the team as we transition pre storm accounts with current accounts. We are thankful Andy has been a quick study and a great addition to the family. We look forward to many years of Andy's dedication. When he is not working Andy enjoys a host of friends and family as well as a friendly game of golf. Mayce joined our SERVPRO of Bay County family after Hurricane Michael, she jumped on board willing to help wherever she could. Mayce assisted with several large loss projects as an admin and has now found her place in our cleaning department. Mayce works with our full service cleaning crew. When not at SERVPRO Mayce enjoys spending time with caring for her son J .